James and Debbie are the wrong side of forty. 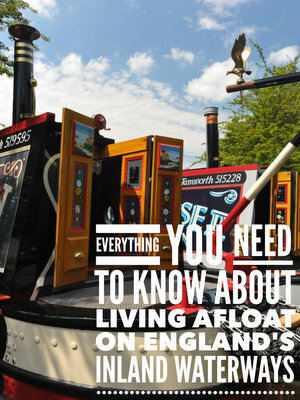 They have decided to take a belated gap year cruising the inland waterways of Englarand and Wales. Will the gap year last more than a year and can you forgive James for being an estate agent? She is called Lois Jane, don’t know why, it was all down to the previous owner as was the apples and pears paintings as well. I am sure it all means something. 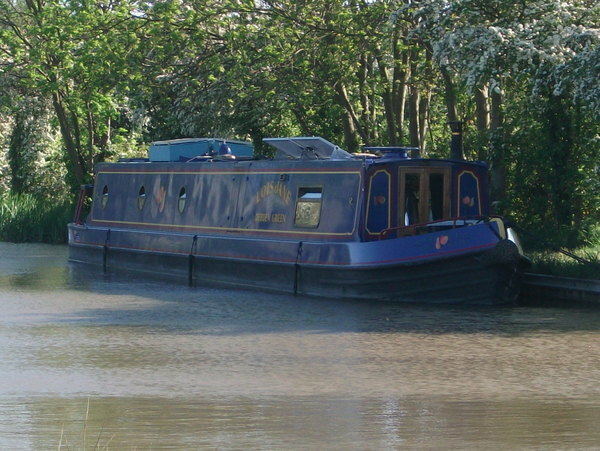 Do you have a permenant mooring? No we are CC’ers. 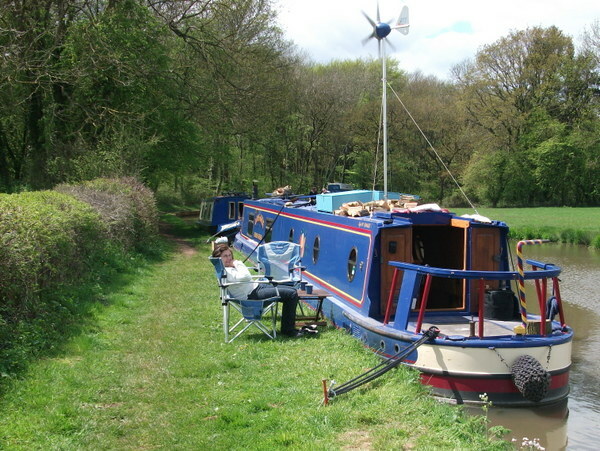 We plan to get a mooring over winter (Dec, Jan and Feb) and get some temporary work. Lois Jane is a 60ft cruiser stern. Built in 2000 by Alexander boat builders and is Sandhills No. 1 boat. She is a gas free boat with a 50hp beta marine engine and engine mounted 7kva generator. I have recently added 4 x 100w solar panels. The layout from stern is – office and electrics, bedroom with cross bed, bathroom with airing cupboard for my homebrew, galley with breakfast bar, lounge with a Becton arrow stove in the corner. The interior is all good quality but I am spending an arm and a leg on varnish for the iroko floor and oak paneled walls. Picked up the keys about mid Feb 2012 and started sanding, varnishing and wandering around saying OMG what have we done. Scrimped and saved for a couple of years of a 10 year plan before waking up one day and saying ‘we’re going to the bank to re-mortgage the house’ I didn’t want to wait another 8 years! My most recent background was Estate agency and it’s associated financing so I was able to get quite good mortgage rates that meant we would still have a good few hundred pound over from the rent we were charging our tenants to live on. I should imagine we will be onboard for about 50 weeks of our first year. Not at the mo, Deb is hoping to do a bit of online admin and I’ve got a couple of pin money ideas, but again I want to aim to earn what I need to live not fit my lifestyle around what I earn. Probably not having the postman knocking on the door. Being CC’ers all post goes to my mother in law. I will try out the post offices ‘Post restante’ soon. but as far as I know businesses like ebay wont send to the post office. A different view every fortnight from my lounge window. I also like the fact that it is a bit quirky, the life style always has an opinion ‘fantastic idea’ or ‘b****y idiot’ everyone has an opinion and questions. Gunwales 2″ higher. I know it’s only a small point but head height with the cross bed is a bit too tight! Bike and flat-bed bike trailer with a big plastic box on the back. Deb’s bike has a front basket and back rack for quick trips. Pump out that lasts the two of us about a month, but we also use a small port-a-loo. How can I put this … one for solids and one for liquids to maximise the time we can stay in one place. Too early to tell yet but leaving Braunston and surrounding areas felt like moving home again, it’s a great area. It was a bit of a disaster when we started. Dead batteries meant being very careful and charging via the engine for about 3.5 hours (?5ish per day) Since then new batteries and 4 x 100w solar panels have cut charging down to about an hour and a half (?2 ish) which is a massive difference. I think we use about 120 amps per day. Not thinking about that yet….. still waiting for summer to start! Be realistic, it is not always going to be a bed of roses. You have got to dig deep into Google to get specific answers as most sites will be quite vague with budgets and expenditure. This web site is what I used as the basis of all regular costs and I was then able to adjust accordingly like ‘my boat is newer so better insulated’ etc. I will hopefully post my budget and actual costs soon but so far we are not too far out. You can find out more about James and Debbie’s watery gap year on their blog.